Not a Member? What are you waiting for? We are here and ready to help you go the next level of your business by providing the files you need. 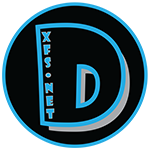 Click on the button below to Join Now!.  DXF139 - Lady Justice Silhouette Design CNC DXF File Download dimensioned at 11 3/4-inch x 24-inch. 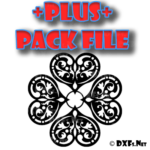 This design is scalable and can be used in countless projects. Minimal contours for a clean design, less machine time, and higher profits to the bottom line. 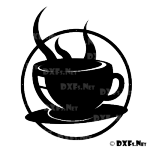 Designs created by DXFs.Net, including this DXF file, are optimally designed to be cut on CNC Plasma, Laser, and Waterjet cutting systems. 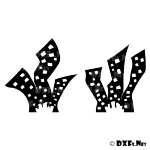 This designs has a specific layout for plasma machines. NOTE: While the design sizes distributed within this product are scaled at optimum cutting sizes, they may be decreased for laser and waterjet cutting systems, however depending on the design and the complexity of the design, they are not recommended to be decreased for Plasma cutting systems due to the kerf cut of Plasma systems. Scaling will need to be determined on a design and machine basis at your own discretion.